They don’t exist in Windows Vista Enterprise Edition, or do they? For me they do and this is how. I wonder why people cry of the sucky video drivers pushed out by NVidia. The monsters Intel rolls out for their D946 GZ chipsets must be on par. I have had more GPU resets from them than power failures! Even new yahoo messenger causes the graphics stack to crash weirdly. Here’s the most charming, updated EULA of the driver I downloaded. This file should be replaced by the current license file when built. I mean what they are playing at? Why The Hell Are You Still Here! Everything 100% complete, yet still on computer screen! Finally, my Windows Vista installation is up and running again. Only two or three programs of my usual set remain to be installed. Why the reinstall? Well, I managed to install SP1 RC refresh last week and it didn’t work anymore. 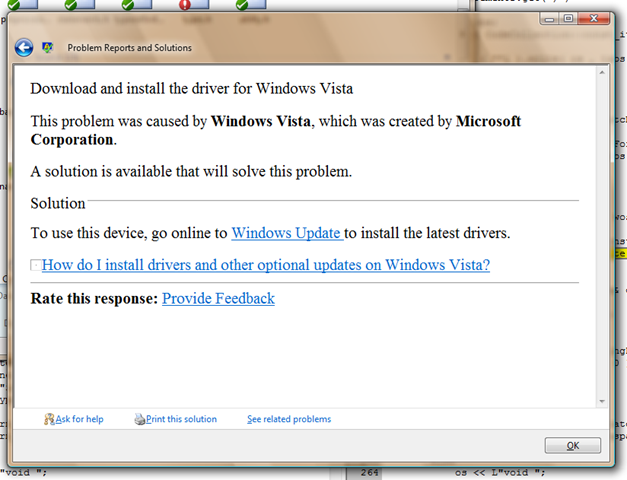 A nice analysis you get after you install Windows Vista SP1. The reason, no debugging symbols available as of right now. The problem was caused by visiting this page in IE7. FF 3 beta 2 seems to work fine (at least it does not crash each and every time). So, if anyone can help, you are welcome. ***** OS symbols are WRONG. Please fix symbols to do analysis. Oh and I almost forgot, the stack trace. They say “A picture is worth a thousand words”. Therefore, I’ll keep this post very short and let you figure out and tell me which part of hardware is from ATI/AMD on my system when everything screams an “Intel Inside”! Perhaps, these may help you make your decision quickly. Is Microsoft playing “Idiot Outside”? Do count this when making announcing the verdict. Windows Update is definitely buggy, no matter what Microsoft says otherwise. I must lay the foundations before beginning the story. I never let Windows Update get away with silently installing the update offered. For Windows XP, I always go to %windir%\softwaredistribution\download folder and copy the installation files to a separate directory. This copying means I never have to download that same update again unless it is re-offered. For Windows Vista, the process is slightly easy as so far I have not been able to find the location or commandline of installation process which is always run by TrustedInsaller program. Therefore, I follow the help link given in details of each individual update and download the microsoft update standalone package from knowledge base or technet and never have to download it again. which means there are two problems, first note the white space after ‘=’ and five digit incorrect KB code. 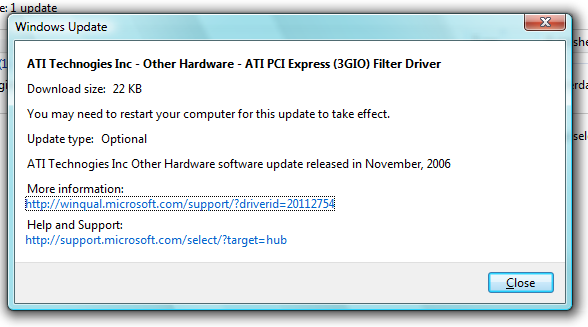 Following the usual steps I noticed that this update was never found in KB. Therefore, I had to google for KB939653 for a working link to knowledge base article.